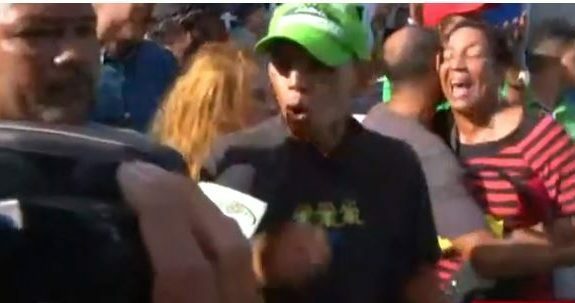 San Francisco de Macoris.-Dozens of tear gas canisters had to be launched by police Wed. afternoon when hundreds of people hurled trash and rocks to protest the court ruling that sent Marlin Martinez to 5 years in prison for her role in the death of the pregnant teen Emely Peguero in Sept. last year. Martinez’s son Marlon was sentenced to 30 years in jail, convicted for -in a botched abortion- murdering the 16-year-old teen that was pregnant with his baby. 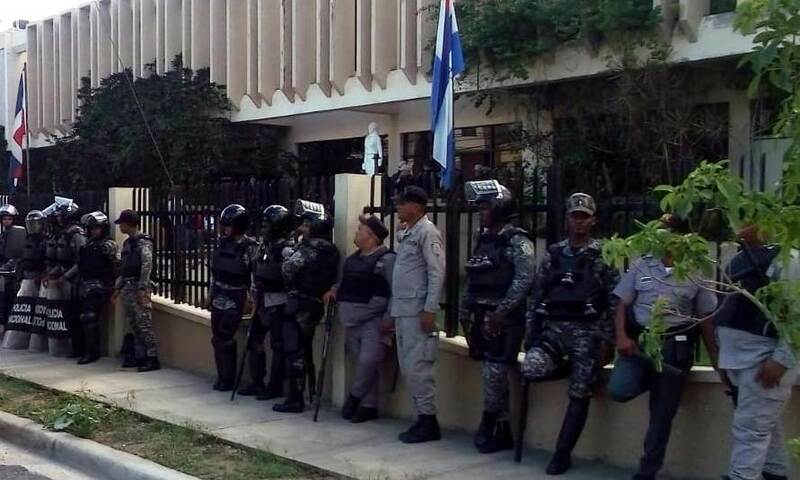 Protests were also staged in the nearby town Cenovi, Emely’s hometown, whose residents had demanded 20 years in prison for Marlin Martinez.